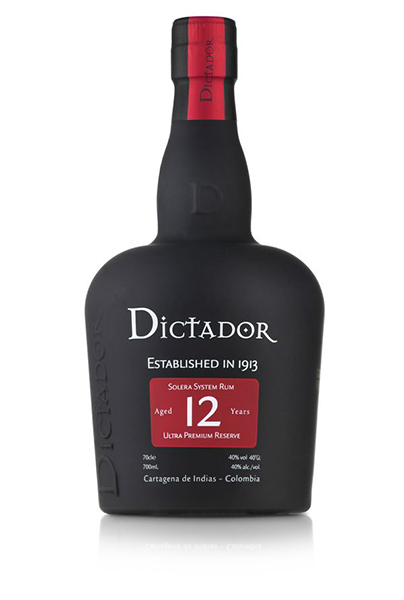 Dictador 12 Years Solera System Rum is made from the fermentation of virgin sugar cane honey distilled partly in copper alembic and partly in steel continuous column, to achieve a medium body rum. Aged in pre-used oak barrels using the solera method and finally bottled under the highest quality control to ensure all the secrets are contained in the liquid flavour. Dictador 20 Years Solera System Rum is made from the fermentation of virgin sugar cane honey, distilled partly in copper alembic and partly in steel continuous column, to achieve a medium body rum. It’s then aged in pre-used oak barrels using the solera method and finally bottled under the highest quality control to ensure all the secrets are contained in the liquid flavour.